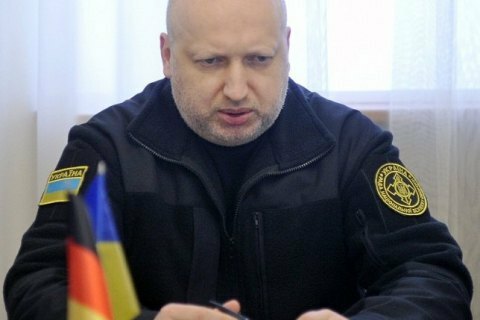 Ukrainian intelligence has reported an increase in the number of heavy weaponry (tanks, self-propelled artillery, multiple-launch rocket systems), ammunition, weapons and the Russian military sent the occupied territory of Donbas through uncontrolled border areas, the secretary of the Ukraine's National Security and Defence Council, Oleksandr Turchynov, said in a statement on Friday, 3 February. Over the past 24 hours, fire attacks on Ukrainian positions have reached a peak compared with the past year (from February 2016) as over 2,000 shells and mortar bombs have been fired on the positions of the Ukrainian army in Donbas. As a result, three soldiers were killed and 16 wounded. The Russian occupation forces carried out targeted fire on civilian targets, especially in the centre of Avdiyivka, including the tent camp, which accommodates the centres for the distribution of humanitarian aid and warm-up facilities for civilians, and the school, where humanitarian aid was distributed. The shelling damaged Avdiyivka's civilian infrastructure again. The enemy artillery attack at humanitarian facilities in Avdiyivka killed a driver of the emergency service and gravely wounded the head of the local fire and rescue department. In addition, British photographer Christopher Nunn was wounded in shelling. Some 69 residential houses and seven apartment blocks were damaged by enemy fire. The Russian hybrid troops shelled civilian targets in Maryinka, Krasnohorivka, Halytsynivka, Sartana and in other locations. In Maryinka District, 11 houses and a school were destroyed by shelling. Earlier, the Kremlin said the deterioration of the situation in Donbas was the reason for Russia and the USA to resume dialogue, including on Ukraine, as soon as possible.